The dictionary definition for cadmium is benign enough. Merriam-Webster says it is “a bluish-white malleable, ductile divalent metallic element used especially in batteries, pigments, and protective platings”. Sounds reasonable, until you realize that cadmium is also highly toxic and a known carcinogen. That’s when the stakes are raised. Just this week, Gildshire found out that Volkswagen, lately famous for cheating on emissions tests and being caught red-handed, have cadmium in the chargers that fuel their electric cars. Obviously, this piqued our interest. Motoring Research helped with some information. Kraftfahrt-Bundesamt (KBA), Germany’s Federal Transport Authority is on the case and is prepared to take drastic steps to correct this latest gaffe. It is expected that the regulatory agency may initiate a total recall of the blighted vehicles because of the presence of cadmium in VW’s high-voltage battery chargers. Tests revealed that the cars contain almost 0.008 grams per device. The toxic substance is largely prohibited for use in vehicles anywhere in Germany by the government, due to the vast ecological and environmental damage it can potentially inflict on Mother Earth (and those who touch her) when the Volkswagen would be either recycled or scrapped. Volkswagen responded to the report by halting production of Golf GTE, e-Golf, Passat GTE, and e-Up! models. Industry reports indicate that hybrid Porsche and Audi models are also affected, though to what extent we don’t yet know. 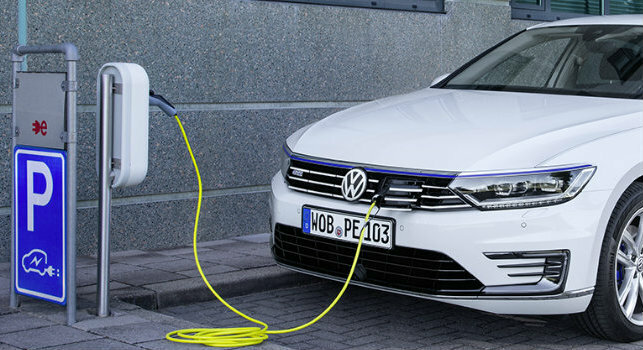 The company defended itself by claiming the cadmium-laced charger comes to VW from an outside supplier, and that the carmaker was not aware of the cadmium component of the device. Volkswagen says that a replacement supplier has been found, but the identity of the new charger supplier has not been identified. Coming out of the “diesel-gate” emission-test scandal, Volkswagen Group’s reputation around the world has suffered terribly. They needed to become a leader in finding a new route to efficient, environmentally-sound driving. Electric power looked to be just that. Add in hybrid and plug-in tech to the mix and Volkswagen could have been on its way to rebirth and a renewal of confidence among car buyers. It seems, though, the iconic German automaker can’t escape repeat bouts with controversy. Are Millennials Making These Money Mistakes? What is That Toxic Goo on the Gulf Coast?